Stunning 3/4 bedroom semi-detached family home, ideally located in a quiet cul-de-sac within this popular & mature residential location and benefiting from a large side garden offering enormous potential to extend subject to p.p. Superb family home offering a wonderful trade up within a mature location close to all local amenities. Beautiful 3-4 bedroom family home with attic conversion that has been extended offering expansive living accommodation. Wonderful three bed family home right in the heart of Ballyroan Parish. 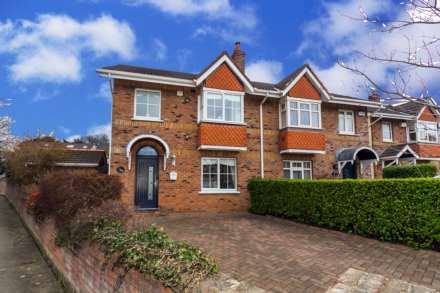 Superb 4 bedroom detached family with garage in excellent condition throughout. Superb property which oozes style and boasts an expansive light filled layout! Stunning 3 bed semi-detached family home ready for immediate occupation! Fantastic three bedroom family home with a sunny rear garden and spacious accommodation. Superb first floor 2 bathroom apartment located in a quiet mature development close to all local amenities.